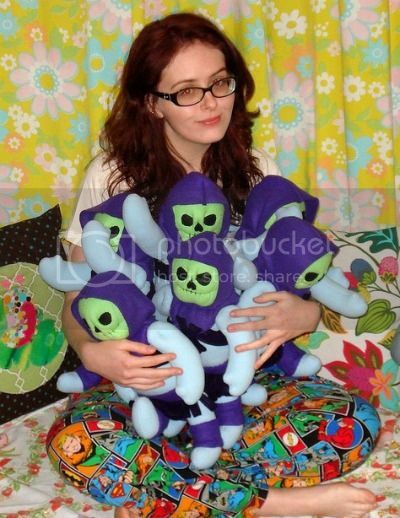 Let’s see: a cute geek girl in glasses who wears comic book pajamas and whose idea of “arts and crafts” is making adorable plush Skeletor dolls (on sale at Etsy)? Via Super Punch, who is also too good for you. Thank you for the link and the super sweet post!